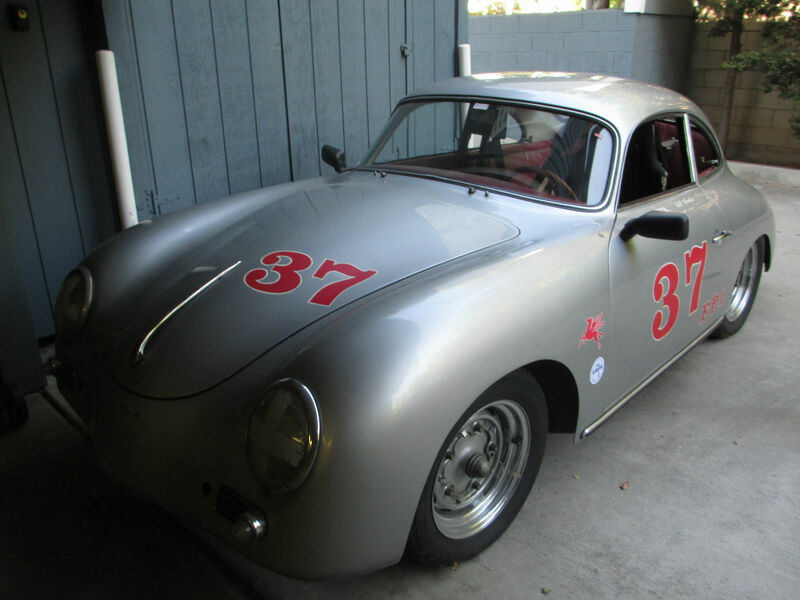 Buy Classic Volks – 1959 Porsche 356 Coupe Vintage Race Car, Porsche 356 Coupe for sale in Pasadena, California. It’s a Porsche 356 Coupe built in 1959 prepared for Vintage Race Car competitions, it’s a street legal VARA Car Nice Condition. Very nice age related condition, a few imperfections, but a nice vintage racer which has raced in many vintage races in Southern California and Nevada. Very nice age related condition with a few minor imperfections. Has been raced back in the day including the Los Angeles Vintage Gran Prix and the Pomona Vintage Gran Prix and many other vintage races in the Southland. Street legal and was up to vintage racing standards in the 1990’s. Has not be raced since the 1990’s and barely driven since then, but starts right up and is a strong runner. Roll cage, fire extinguisher, racing fuel tank and pump, etc. and 912 race built engine. Please look at the pictures carefully, as they are part of the description. Sold as is, no returns. This entry was posted in 1959, 356, Closed, For Auction, Porsche, USA and tagged Porsche 356 on October 12, 2014 by buyclass.